Spearmint oil belongs to the mint family and is a relative of mint and peppermint. Sweet, subtle and refreshing are the words that describe spearmint.Spearmint oil derived from steam distillation of leaves of menthe spicata grown in uttar pradesh (india). One of the major components is l-carvone and limonene and it has major use in oral care and chewing gums, perfumes, cosmetics, analgesic balms, ointments, lotions, creams, tooth paste shampoos and conditioners. Spearmint oil? S appearance is straw yellow to light yellow and has a strong and penetrating odour. Essential Oil of Spearmint is extracted by steam distillation of flowering tops of Spearmint plant, whose scientific name is Mentha Spicata. The main components of this oil are Alpha Pinene, Beta Pinene, Carvone, Cineole, Caryophyllene, Linalool, Limonene, Menthol and Myrcene. Although its aroma matches that of Pepper Mint, which is due to presence of Menthol, its Menthol content is negligible as compared to that of Pepper Mint Oil. Spearmint has been a substitute for peppermint in its unavailability and possesses similar medicinal properties, due to presence of similar compounds in its essential oil. The instances of its use in ancient Greece have been found. it is a native of the Mediterranean area, and is a hardy perennial herb that reaches about 1 meter (3 feet) in height and has bright green lance-shaped, sharply serrated leaves and pink or lilac-colored flowers.Unlike peppermint, spearmint does not contain high amounts of menthol. The ancient Greeks used it to scent their bath water and it had a reputation for curing sexually transmitted diseases like gonorrhea. During the medieval times it was used to heal sore gums and also to whiten teeth. AOS Products is one of the Major Manufacturer and Exporter spearmint oil. Belonging to the family of lamiaceae/Labiatae (mint) mentha spicata the spearmintoil.in is also known by the names of Garden Mint, Green Mint, Spire Mint, Sage of Bethlehem, Lamb Mint, Bethlehem Sage, Mackerel Mint, Our Lady's Mint, and Pea Mint. Being used for thousands of years as a pleasant way to support the gastrointestinal system, the essential oil is believed to relieve flatulence, indigestion, colic, irritable bowel syndrome, nausea and heartburn, as well as stomach, abdominal and bowel pains. Recognized to serve almost countless list of applications, including headache and joint pain relief, cold and flu relief, and skin problem treatments-- the genus "mentha" of spearmint oil is derived from the name of a nymph, Minthe. She was seduced by Pluto and whom the jealous Persephone turned into a seedling (mint). Today, the market of spearmint oil is blooming with its growing popularity for flavoring candy, ice cream, gum, liqueurs, tobacco and medicines; for its fragrance in perfumes, potpourris, lotions and pomanders; for its efficacy in repelling insects; and finally, for its all-important medicinal applications. 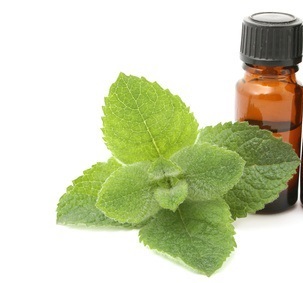 Unlike peppermint, this oil does not contain high amounts of menthol. Having a similar aroma to that of peppermint oil, it is slightly sweeter and is pale yellow to greenish in color. Further, this oil is far gentler to use with children and has great benefits on the digestive system. It blends particularly well with Basil, Eucalyptus, Lavender, Rosemary and Jasmine. Being counted as indispensable by the ancient Greeks to scent their bath water, the spearmint oil has had the reputation for curing sexually transmitted diseases like gonorrhea. During the medieval times it was used to heal sore gums and also to whiten teeth. Being used in the New World by the colonists in the medical context, it was also used by them for pure pleasure, especially since it wasn't taxed. Being native to Asia, the spearmint oil is even mentioned in the Bible. Spearmint grew wild in the United States after the 1600s.